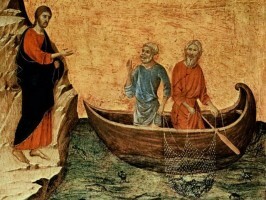 In his homily about how our Lord amazed His future disciples, the fishermen, with a great catch only to later promise them that they would be ‘fishers of men’, Fr. Patrick Reardon made a rather humorous comment saying, “we notice they were such good fishermen that anytime in the New Testament that they caught a fish it was regarded as a miracle.” Nonetheless, the fishermen, as we might say in modern terms, finally found their vocation. This word ‘vocation’ comes from the Latin ‘vocare’ which means ‘to be called’. 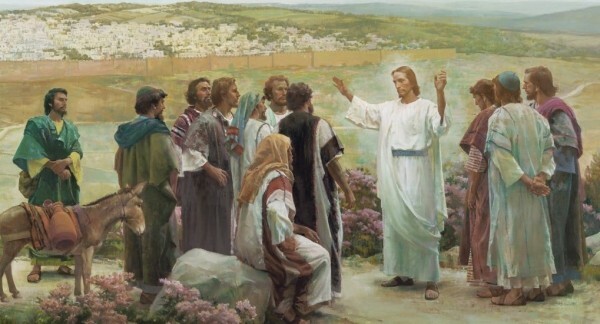 Certainly the apostles were not the first to experience such an exalted calling. In the Old Testament when God told Moses that He was sending him to Pharaoh to deliver the Israelites out of Egypt Moses wasn’t too sure of this calling. What ensued was a long conversation between God and Moses with God having to reassure Moses several times that He will be with him and help him along the way. In short, it was not an easy task getting Moses to accept his calling. For that matter, the prophet Jeremiah is another example, a great prophet who, in the beginning, had trouble answering God’s call. We tend to imagine ourselves reacting differently if, let’s say for instance, a celestial being were to appear to us while in prayer. We are all too sure that there’d be no need of sweet talking us into doing the will of God. On the other hand, I am more under the impression that our answer to God, instead of being in the affirmative, would resemble more the wishy-washy young man from the gospel who wished to inherit eternal life but not necessarily at the expense of all his earthly wealth. Just as I’m sure every priest has been asked at least once in his career how he had decided to become a man of the cloth, I’m just as certain their answer was, to an extent, disappointing. After all, such sacred callings are presumed to come through visions, blinding lights or a voice from above, if for no other reason than to confirm their authenticity. My story, I’ll admit, is among those disappointing ones. In fact, perhaps the only miraculous thing about it is that I believe it’s quite authentic. For, you see, I believe I am to preach Christ not because I was specially called to do so, but simply because I was created. And so it is for each of us. We are all called to exercise this royal priesthood, each in the particular way God gives us, simply because that is the calling for which we have been created.